For Sponsorship Opportunities and Registration form, please CLICK HERE. 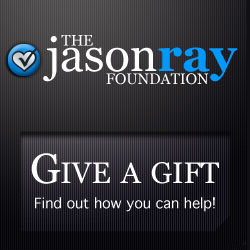 Every year the Jason Ray Foundation has been blessed to have many businesses and individuals from many States take on the Sponsorships. We hope that you will consider being a sponsor for this year. If you have not had a chance to attend one of our golf tournaments, you will not want to miss this one! We really do hope you will join us!